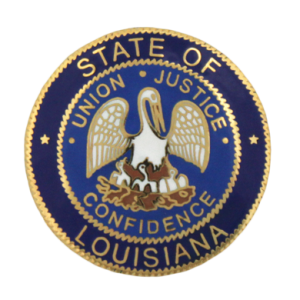 These lawyers were the subject of Louisiana Supreme Court disciplinary orders or Louisiana Attorney Disciplinary Board recommendations that were made public during the month of November 2018. Linda Louise Stadler. The court suspended the respondent for six months, all deferred with two years’ probation. The respondent previously pled guilty to two DWI charges and suffers from mild alcohol use disorder. Bradley O. Hicks. The court suspended the respondent for two years. The respondent neglected legal matters, failed to return unearned fees, and failed to communicate with clients. In addition, the respondent failed to cooperate with ODC’s investigation. Timmy James Fontenot. The court permanently disbarred the respondent. The respondent forged his client’s signature on a settlement check, converted client funds, and used fabricated documents to conceal his conversion. Thereafter, the respondent failed to make restitution or to cooperate with ODC’s investigation. Tracey Michel Favorite. The court disbarred the respondent. The respondent issued worthless checks for a period of three years. Durward D. Casteel. The court suspended the respondent on an interim basis. Raymond Charles Burkart, III. The court disbarred the respondent. The respondent neglected legal matters, failed to adequately communicate with clients, failed to return client file materials, failed to return unearned fees, mishandled his client trust account, and failed to cooperate with ODC’s investigation. Tyrone F. Watkins. The court suspended the respondent for three months, all deferred, subject to one year’s probation. The respondent neglected a legal matter, failed to communicate with his client, and failed to return an unearned fee. Frank Stanton Hardee, III. The court suspended the respondent for one year and one day, with all but six months deferred. In addition, the court ordered that the respondent must comply with the terms of his monitoring agreement with JLAP. The respondent previously pleaded no contest to multiple alcohol-related misdemeanors. Scott Robert Hymel. The court granted the respondent’s petition for permanent resignation in lieu of discipline. Greta Wilson. The board recommended that the court find that the respondent, an already-disbarred lawyer, committed additional violations, that “should be considered” in the event that she seeks readmission in the future. The respondent failed to communicate with, and to provide agreed-upon services for, a client. Doris McWhite Weston. The board recommended that the court suspend the respondent for a period of one year and one day, with nine months deferred and subject to several conditions (including two years’ active probation and completion of LSBA Trust Accounting School). The respondent mishandled client funds due to a third-party health care provider. Leonard E. Yokum, Jr. The board recommended that the court deny Mr. Yokum’s petition for reinstatement. The board found that Yokum failed to make good faith efforts toward restitution, failed to show compliance with the terms of his discipline, failed to show recognition of his wrongdoing or the serious nature of his wrongdoing, and failed to demonstrate other good reasons why he should be reinstated. Dante Jerome Butler. The board recommended that the court suspend the respondent for six months, all deferred, subject to one year’s probation. The respondent facilitated the unauthorized practice of law by nonlawyers and shared fees with those nonlawyers. Dina Fae Domangue. Hearing Committee #3 recommended that the court suspend the respondent for one year. The committee also recommended that the respondent attend a course on law office practice management and professionalism. The respondent failed to return a client file, failed to return an unearned fee, and failed to perform diligent work on a client matter. Attlah Deniece Burrell. Hearing Committee #27 recommended that the court grant Burrell’s petition for reinstatement, conditioned on supervision by a practice monitor and the completion of 8 hours of CLE credits designated for new lawyers or small firm practitioners. The court previously suspended Burrell for failing to adequately supervise a suspended lawyer working as a paralegal. Harold D. Register, Jr. Hearing Committee #19 recommended that the court permanently disbar the respondent. The respondent committed multiple rule violations in multiple matters. Yolanda Julie King. Hearing Committee #18 recommended that the court suspend the respondent for one year, retroactive to the date of her interim suspension. The respondent falsified her domicile so that she would be eligible to be elected as a juvenile judge in Orleans Parish. This act of falsification was a criminal act.